but it was an experiment for me & it turned out really well, so I thought I would share it with you! On my day off last week I had the odd compulsion to bake something. I say odd, because as much as I like baking, I only get the urge to do it once in a blue moon! This time round, it was triggered by the mere mention of banana bread on Twitter. that we had all the relevant ingredients. I was up for leaving the house to buy any ingredients that I didn't have! to compensate for the ingredients that I had to hand. the experimenting turned out really well! 1 - Pre-heat the oven to 180°C and grease a bread tin with plenty of butter. 2 - Put the mashed banana into a large mixing bowl & add the egg, melted butter, sugar & vanilla extract. I used a wooden spoon to mix it all together, but I'm sure you can use a mixer if you want! 3 - Lastly, add the baking powder, salt, cinnamon & flour and mix well. 4 - Pour into your prepared bread tin & bake for 1 hour at 180°C. It couldn't be more easy. 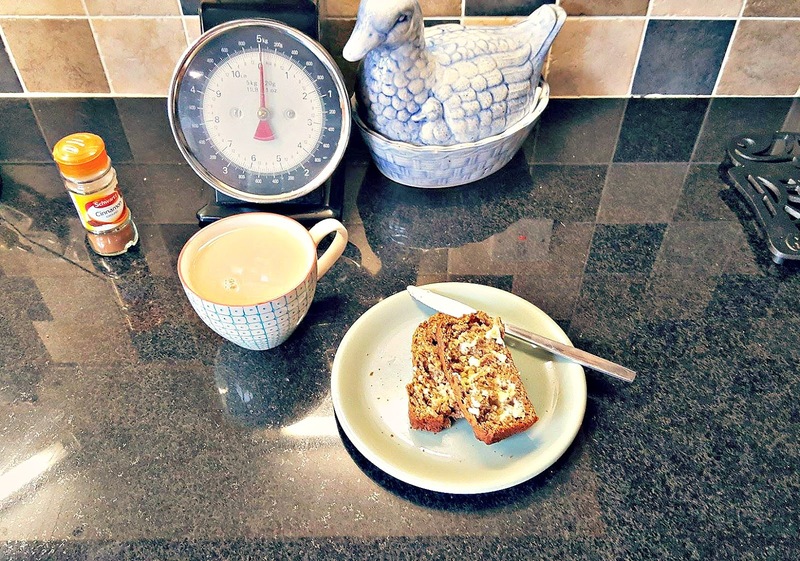 It is a bit on the sweet side, so if you would prefer to have a more natural taste to your banana bread, feel free to cut down on the sugar! with a helping of butter and a giant cup of tea! It's the perfect afternoon snack, especially when the weather is awful outside. 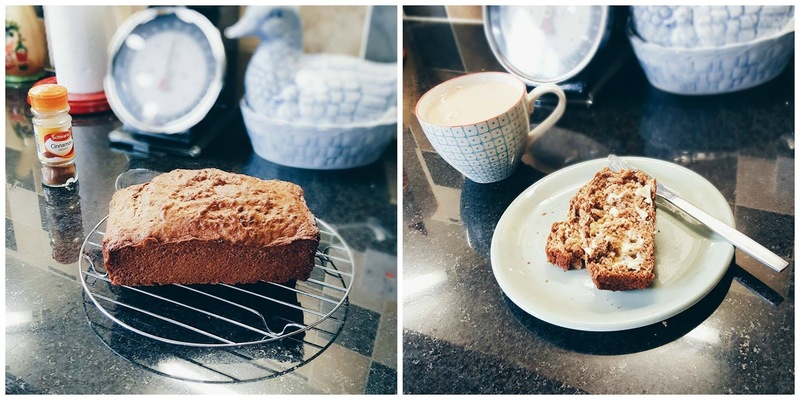 There's nothing better than curling up on the sofa, listening to the howling wind and rain battering against the window, and indulging in this sweet, spicy, warm Banana Bread. Well, in my opinion anyway!